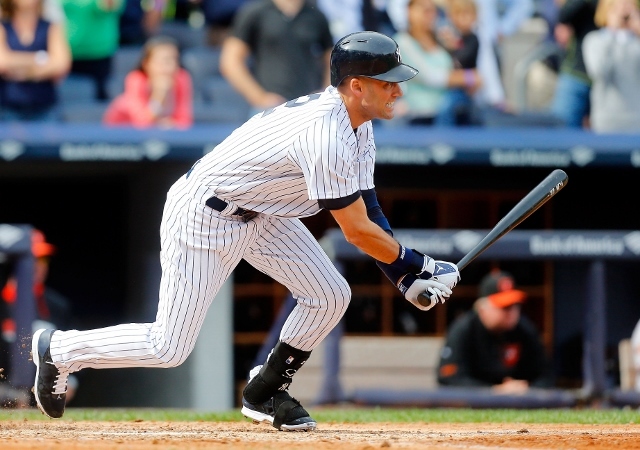 ESPN’s Keith Olbermann thinks the world of Derek Jeter. He called him “one of the best [players] of his era,” which is the highest compliment a guy can give. So why does Olbermann believe the Jeter farewell extravaganza is “overhyped” to the extreme? On a previous show, Olbermann suggested Jeter’s recent performance justified neither his position on the team nor the all-time legend sendoff he’s receiving. After all, Babe Ruth, widely considered the greatest player of all time, received nothing of the sort — nor did Mickey Mantle or Yogi Berra, for that matter. The reaction to Olbermann’s contention was predictably swift and severe from Jeter’s defenders, who brought up four points why the Yankees captain deserves every bit of the tributes and more. Here are Keith’s rebuttals to the four points, explaining why the Jeter farewell has been so overhyped, and the player himself overrated. Jeter’s biggest supporters have suggested that he “leads” the team to greatness in a way that can’t be quantified. Five World Series titles later, the proof is in the rings. Olbermann grants Jeter’s defenders this point as long as it can also be used to explain the losses, too. On that note, Olbermann brings up the point that Jeter, for all intents and purposes, “led” the Yankees to two World Series losses; that he led them to two ALCS losses and five ALDS losses; and that he led them to the worst collapse in MLB history when the Yankees blew a 3-0 ALCS series lead to the Red Sox in 2004. 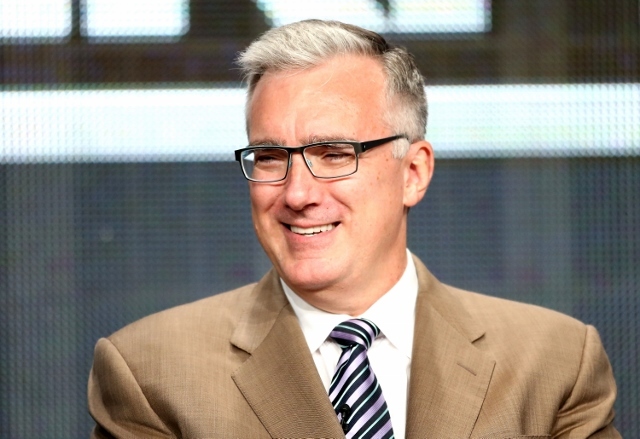 With the good “leading” must come the bad leading, Olbermann says. There’s been plenty of the latter in the Jeter era, especially when looking at the last 14 seasons. Working on the premise that shortstop is a defensive position and Jeter has done the job, Olbermann offers a comparison to the greatest shortstop, Ozzie Smith. “The Wizard of Oz” tracked down 5.22 balls per game (his “range factor”) in his career compared to Jeter’s count of 4.04 per game. In other words, Jeter let more than one ball (i.e., hit) per game go by in his 2,748 career games. Overall value as player must take defense into account. Jeter pales in comparison to the greatest defensive shortstop. Many criticized Olbermann’s criticism of Jeter hitting second and playing shortstop for every game he’s played in 2014. Respect the Yankee tradition, they say, Jeter has earned the right to … perform on a subpar level. Olbermann on this point had a field day, echoing a September 4 post from this site. Olbermann lists how the Yankees benched, released, sold, or traded Babe Ruth, Mickey Mantle, Phil Rizzuto, Jorge Posada, and Bernie Williams (among countless others) when they became incapable of elite performance on the field. 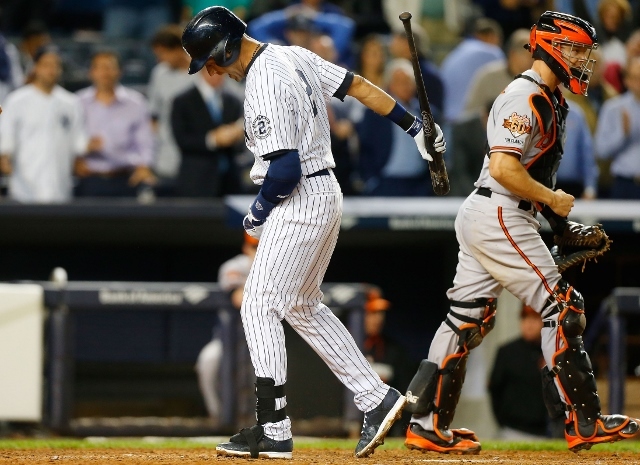 For some reason, the Yankees forgot that win-first approach in Derek Jeter’s final season. Surprisingly, Olbermann did not play “God agrees with me” card, but he almost did. 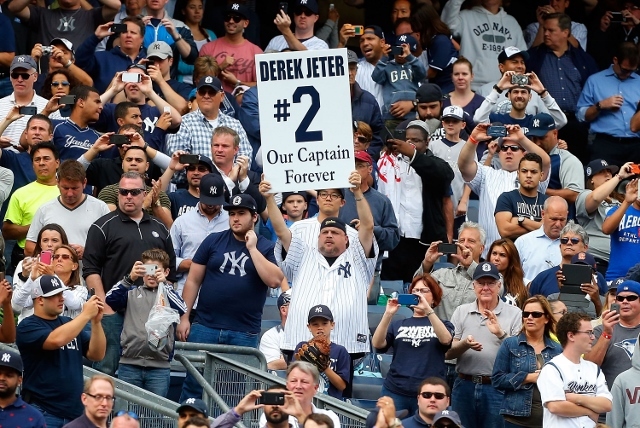 Jeter’s defenders have accused the broadcaster of raining on the parade that is the #Season2Remember farewell tour, especially its final ceremony planned for September 25 (ironically, the day after the Yankees were mathematically eliminated from playoff contention). New York was very much engulfed in rainstorms the day of September 25, with forecasts calling for more of the same through the final Jeter farewell game at Yankee Stadium. On this point, Olbermann couldn’t resist. “Derek Jeter is not going to be able to make that stop,” he said by way of closing the segment.